When I joined the Greater Boston Business Council in 2001, I became aware of the lack of branding and visual identity for this non-profit networking organization. The GBBC had been around for quite some time but nothing about them stood out and I had only heard of them through word-of-mouth. 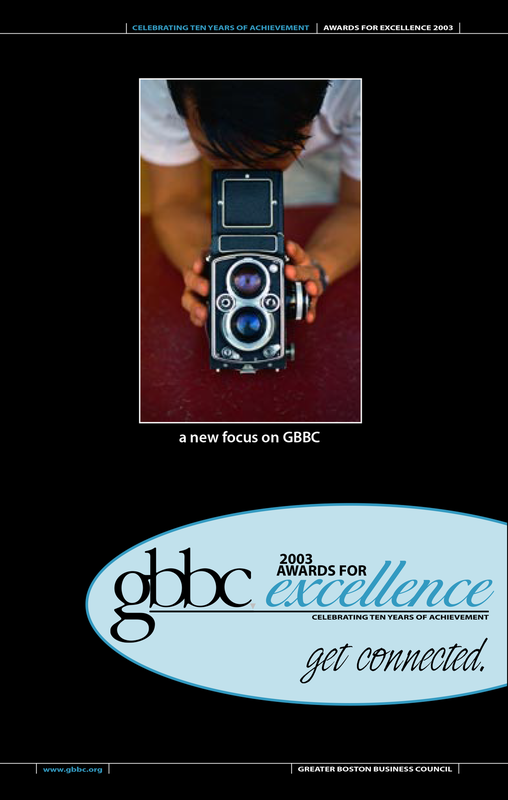 I volunteered my time and expertise to help develop some of the necessary tools the GBBC needed to raise awareness of who they were and what their mission was. Taking their exisiting logo, I created a series of print collateral as well as helped them redesign their web site. Eventually, in 2003, I created and designed a Storytellers' Campaign to generate excitement and help increase memebership.